Here is another wonderful Memebox, I absolutely love these boxes. This is my fourth box and I am still overall very impressed by them. 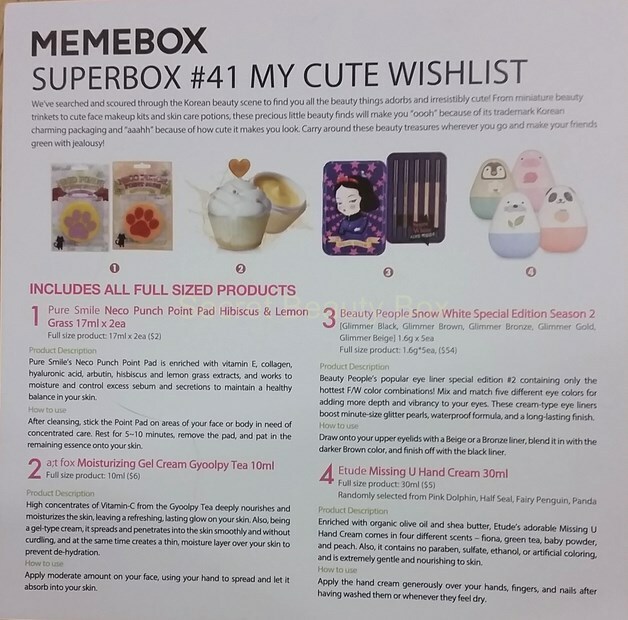 If you want to know a bit more about Memebox you can have a look at my first post HERE. The box they so kindly sent me this time it their Superbox #41 My Cute Wishlist box which costs $23 plus $6.99 p+p. I really love this box it really is super cute!! All products in this box are also Full Size. You get a detailed card in every box that lists the products you have received, it gives you a little bit of information about the item and also tell you how to use it. This is very important as without this there would be many products you would just not be able to figure out what they are or how to use them. 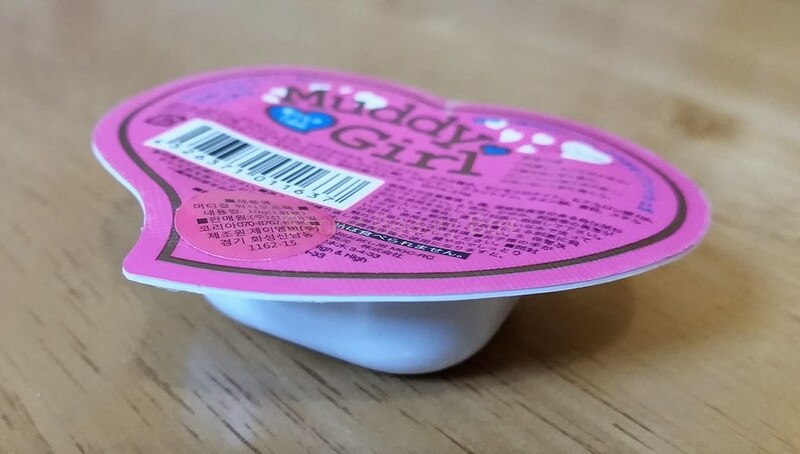 The information on the products themselves is all in Korean, so unless you know Korean you will not know much about the product without this card. 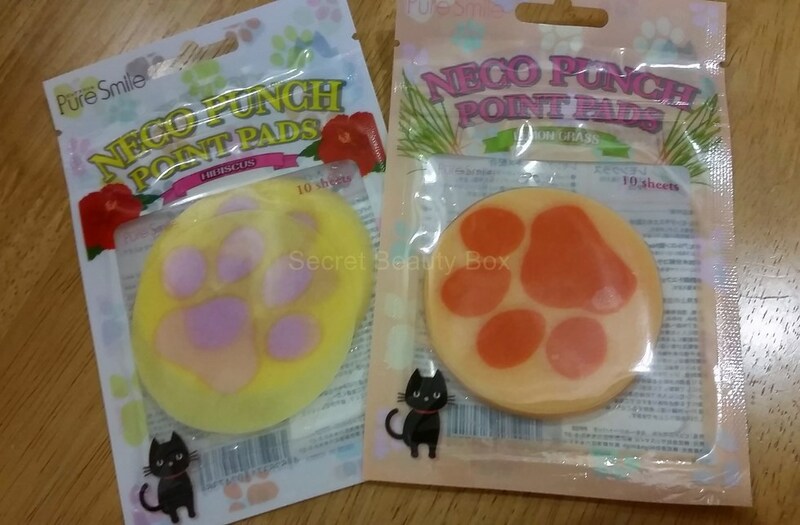 I love anything to do with cats, these are really cute with the little paw prints on each sheet. These sheets are enriched with vitamin E, collagen, hyaluronic acid, arbutin, hibiscus and lemon grass extracts. 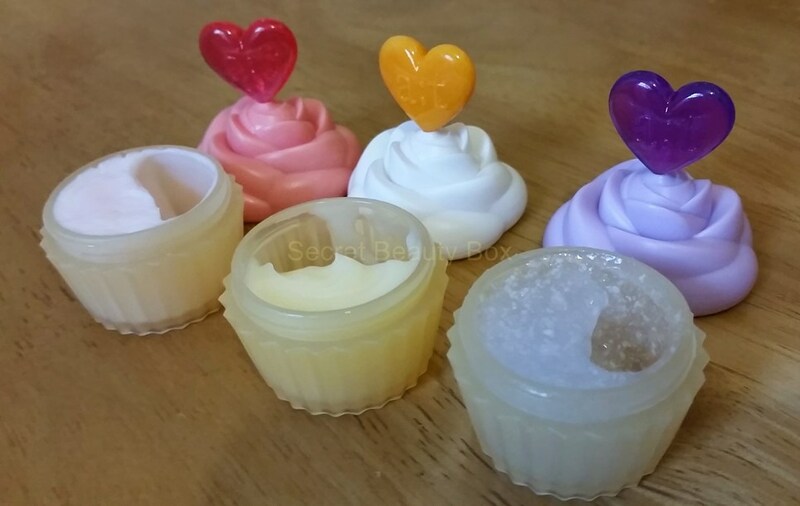 They work to moisturise and control excess sebum and secretions to maintain a healthy balance in your skin. After cleansing you simply place one of these pads on areas of your face or body that is in need of concentrated care. Leave it on for 5-10 minutes , remove the pad and pat in the the product into your skin. They come in handy resealable pocket size pouches, so these are very handy to take travelling and out and about with you. 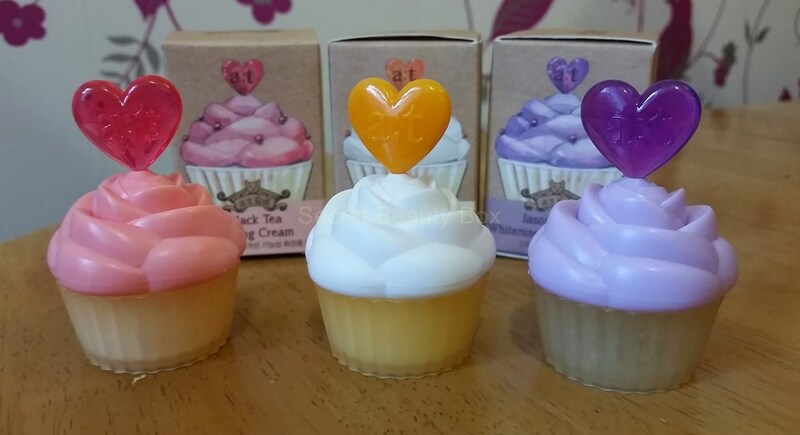 These are adorable little cupcakes which contain a different type of cream in each one. In this box you receive all three types which is great, I just absolutely love the packaging and these would look lovely just being out on display. I will go from left to right in the picture and tell you what type of cream is in each pot. Lifting Cream Black Tea (pink). This cream contains black tea extracts and it guarantees healthy, younger-looking complexion with high resilience and firmness. This is meant to help with wrinkles, creases and any stubborn sagging bags under your eyes. Moisturising Gel Cream Gyoolpy Tea (yellow). This contains high concentrations of Vitamin-C from the Gyoolpy Tea and it deeply nourishes and moisturises the skin. With it being a gel type cream it spreads and penetrates the skin easily and feels soft and smooth when applying. This cream is supposed to help prevent dehydration. Whitening Capsule Cream Jasoyup Herb Tea (purple). This cream contains the deep hydration of a moisturising cream and the brightening effect of a whitening essence. The whitening capsules inside the cream removes uneven, dark spots on your skin and also helps create a clearer and naturally glowing skin tone. These are just so uber cute. The only one I’m not too sure on is the whitening one, as I don’t really want my skin to be whitened. But I will still be giving these a try at some point. 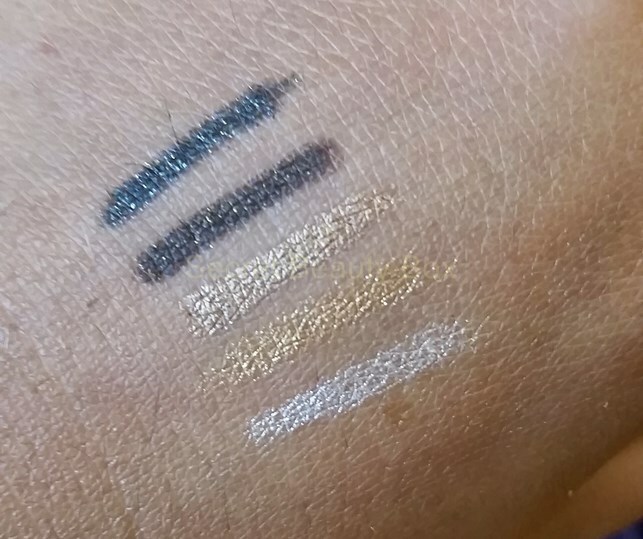 This pretty tin contains 5 cream type eyeliners, the colours are: Glimmer Black, Glimmer Brown, Glimmer Bronze, Glimmer Gold, Glimmer Beige. They contain tiny size glitter pearls which make these shimmer so nicely and it is also a waterproof formula, which makes them long lasting. I tested these on the back of my hand and they do not smudge or rub off! The only way to remove them was to wash it off, so I have very high hopes for these eyeliners. I absolutely love the colours, and I am so happy that I received this item in my box. 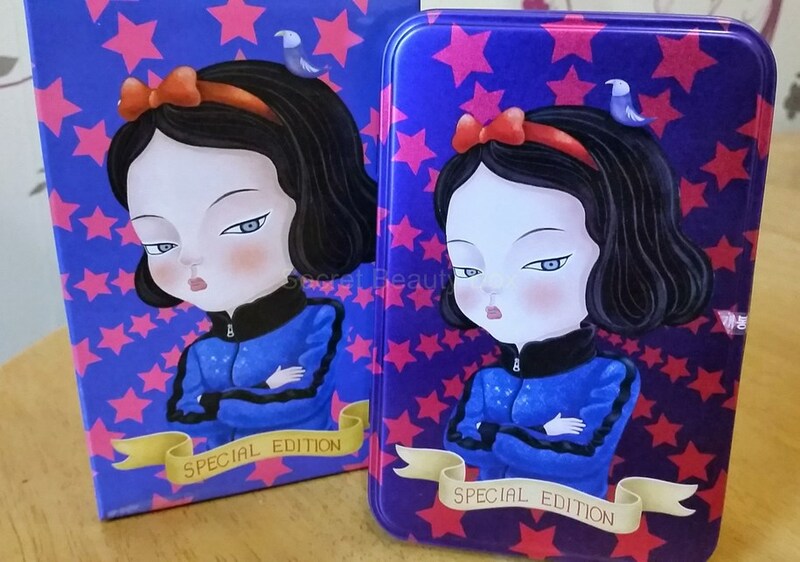 I think the tin is really cute that they come in as well. I am so made up with this product and I would highly recommend it to anyone. 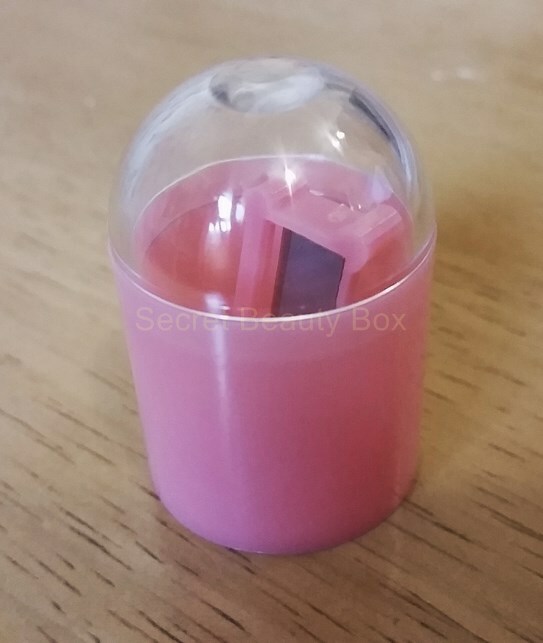 There was also a cute little pink pencil sharpener included in the box, which is a handy little extra. I have wanted one of these for a while, since I saw them online and fell in love with the packaging, so I was very very happy to see this in the box. You would either have received Pink Dolphin, Half Seal, Fairy Penguin or Panda. I received Panda. I wouldn’t have minded which one I received as they are all just as cute as each other. It is enriched with organic olive oil and shea butter and comes in four different scents – fiona, green tea, baby powder and peach. I received the peach one. 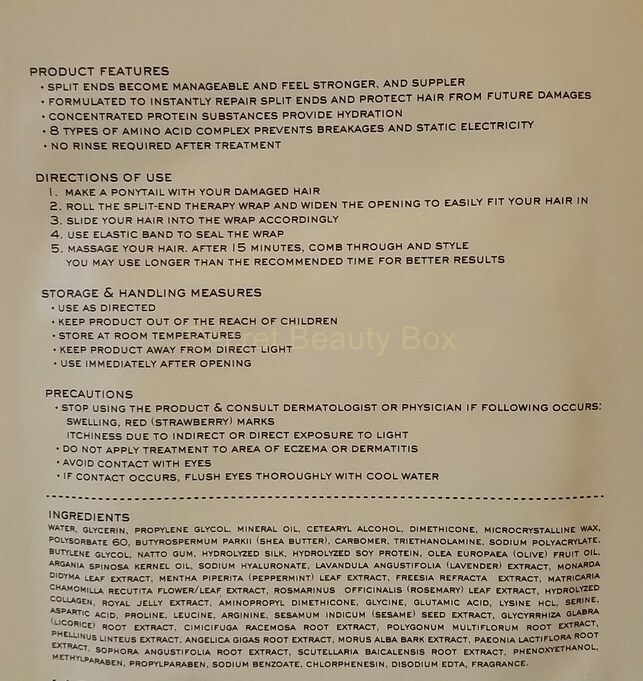 What is great about this product is that it contains no parabens, sulfate, ethanol or artificial colouring and it is extremely gentle and nourishing to the skin. 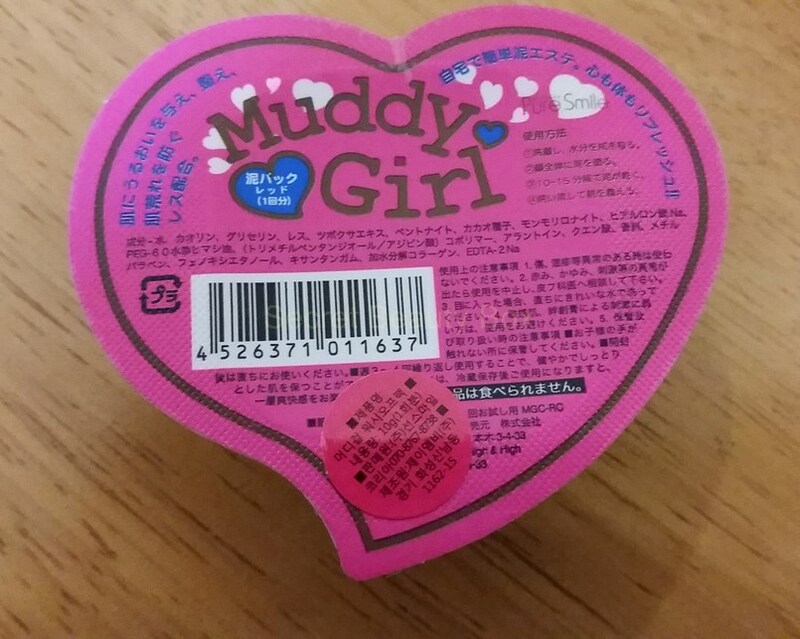 This is a mud face mask and you would receive either Red Clay or Charcoal. I think this one in the Red Clay one, but I won’t know for sure until I use it. These masks work to soothe, purify and moisturise the skin. This is a handy little pack and I look forward to trying it out. I now currently have a good supply of face masks, so I think I should start using them more often than I do. You would either receive Seedless Strawberry Candy, Oh! Orange Candy or Sour Lemon Candy. I received Sour Lemon Candy. The Candy Stick is a gloss type lip tint that moisturises and plumps up dry, chapped lips. 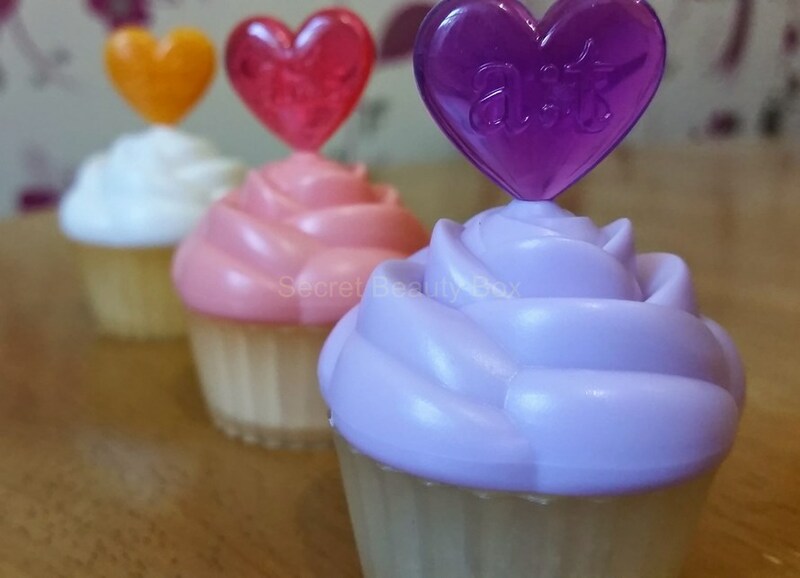 It is enriched with bilberry, sugar cane, sugar maple, orange and lemon extracts. 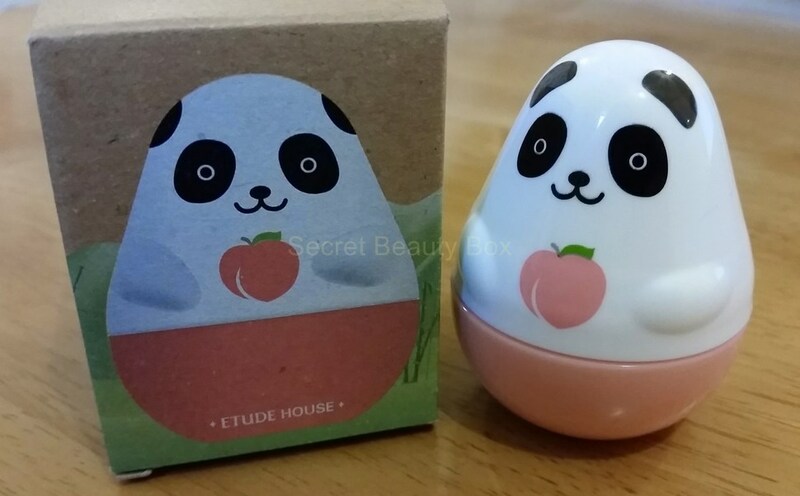 I think the packaging is a really fun design and makes it unique from any other lip balms that I own. I am really looking forward to trying this product out as I do often get split ends and I really hope that this will help. Kocostar’s Split End Therapy contains 8 types of amino acids which work to prevent hair breakages and static electricity. It is meant to instantly repair split ends and protect hair from any future damage. 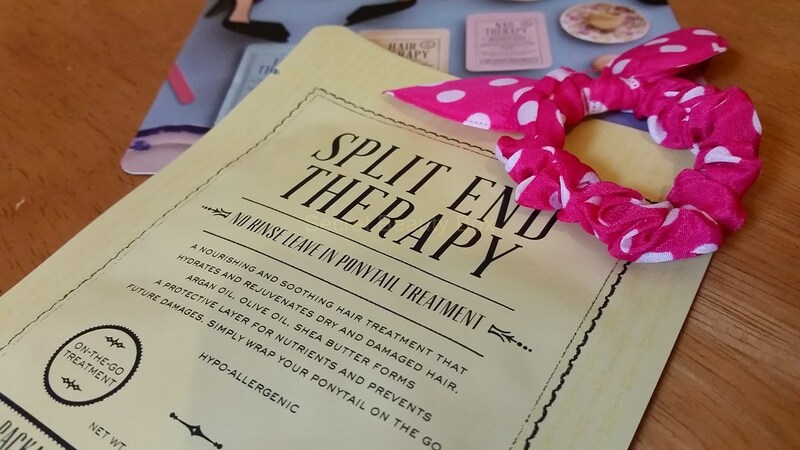 To use this product you tie your hair in a pony tail and then take the Split End Therapy wrap and slide your hair into the wrap, using the super cute polka dotted ribbon hair band to seal the wrap in place. Then massage your hair to make sure the product is evenly distributed and then leave for 15 minutes or longer for better results. Then remove the wrap and comb through your hair, you do not wash this off after application. I have never used a product like this before, so I am really looking forward to seeing the results. This box definitely lived up to it’s title. Everything in this box was just super cute and I love it all, this box is fabulous! 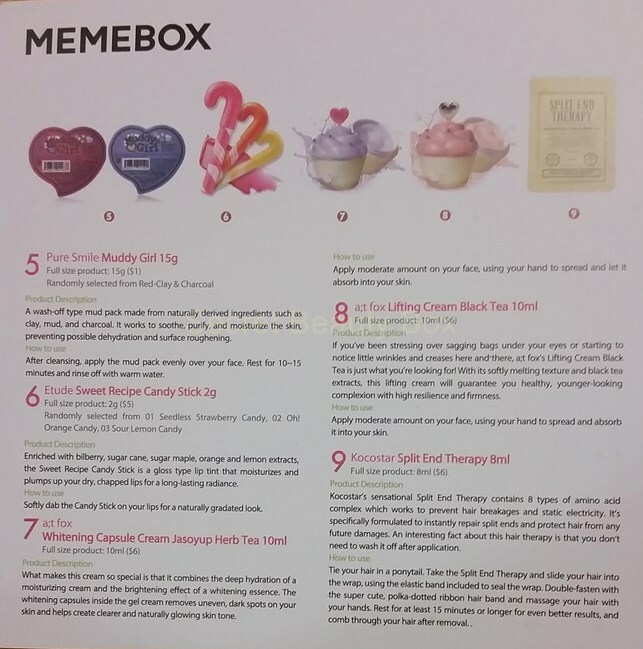 The value of this Memebox came to $93 – £57.25, that is definitely worth the $29.99 – £17.97! 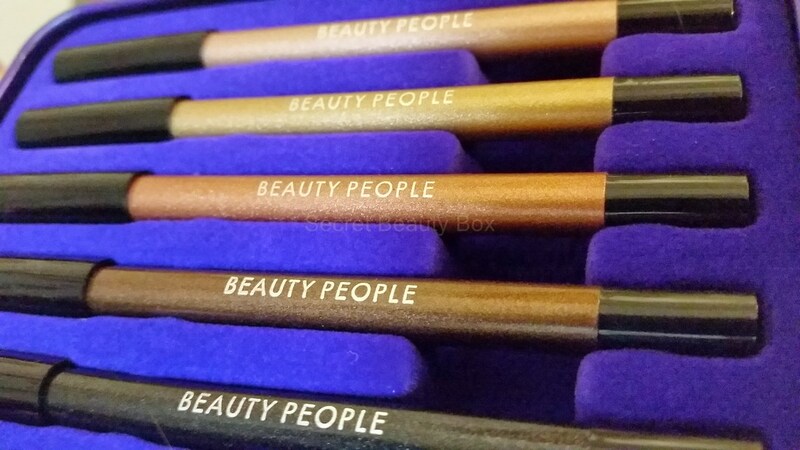 My favourite item is probably the eyeliners, the quality is amazing and they don’t smudge which is definitely something I need. I am most interested in the Split End Therapy as I want to see what the results will be like, and my hair could definitely do with some intensive care at the moment.